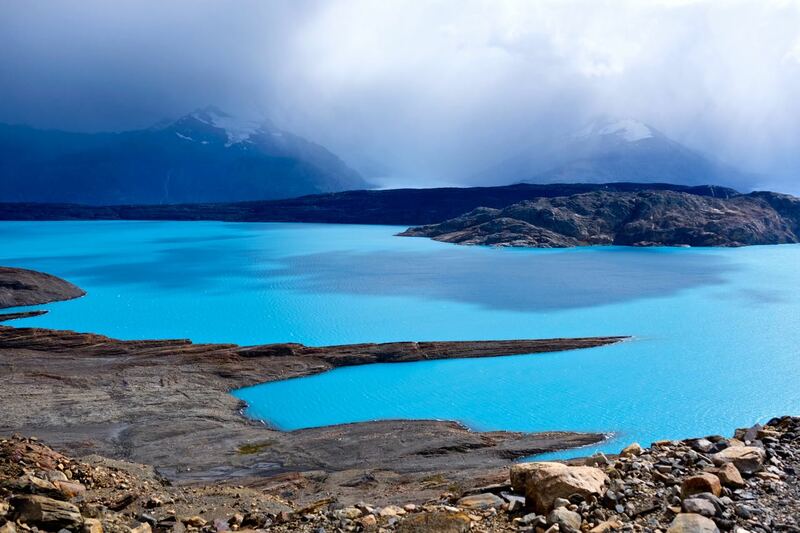 Other than the Perito Moreno Glacier, I also wanted to see the Upsala Glacier and the easiest way was to join one of the excursions offered by Estancia Cristina. We opted for the Discovery excursion. 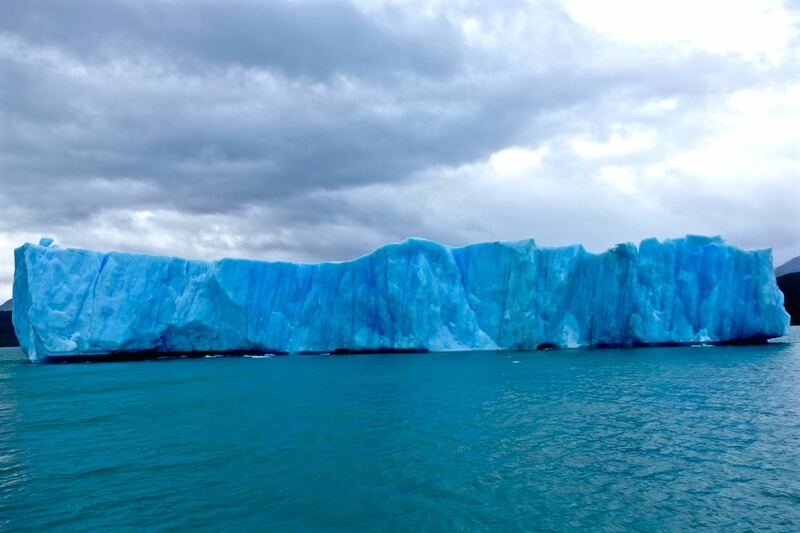 We boarded their boat and sailed among icebergs in Lago Argentino towards the Upsala Glacier. The boat docked at Estancia Cristina where lunch was served (very mediocre). 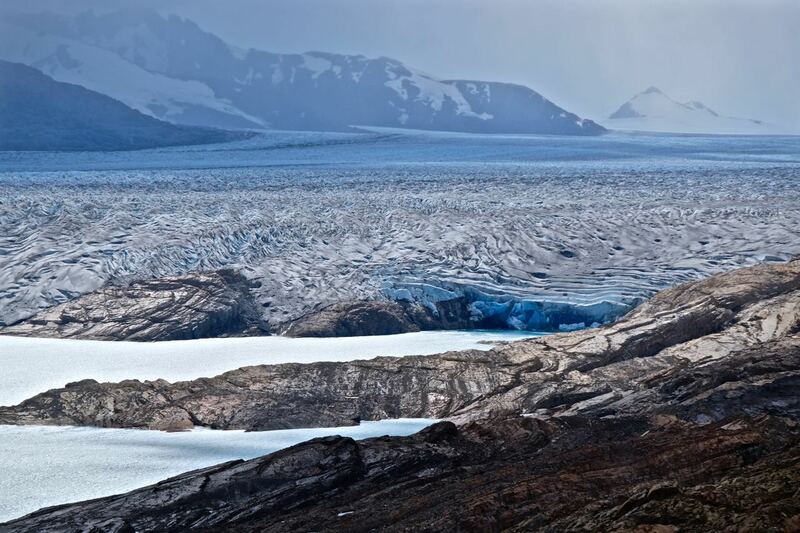 They showed us around the estancia and then we went by 4×4 up to the lookout to see the front of the Upsala Glacier. 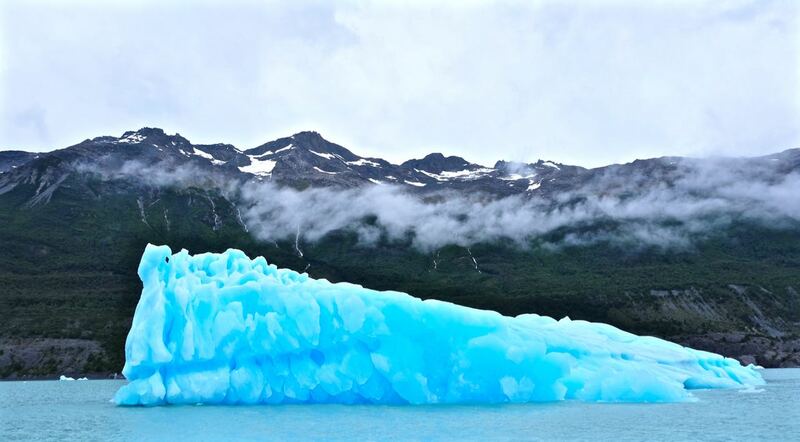 I always imagined icebergs to be white. On the contrary, they are bright blue. 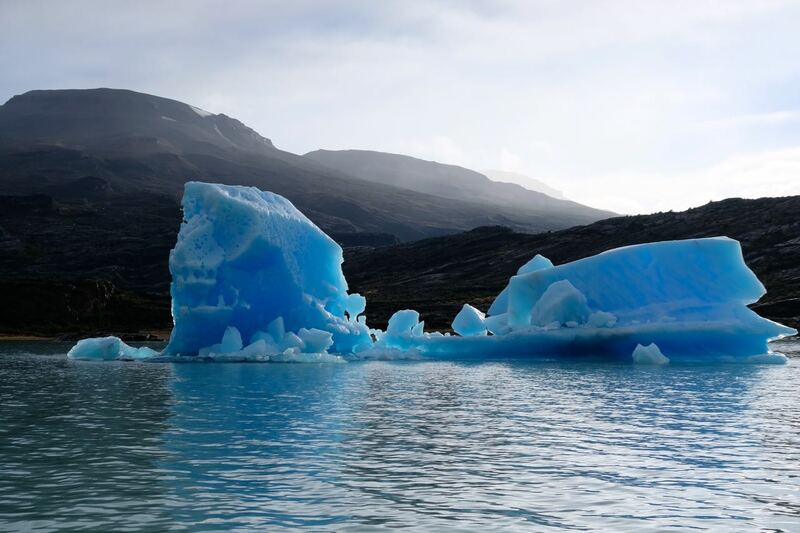 It is because icebergs from older glaciers are heavily compacted and have little internal air or reflective surfaces. So instead of bouncing off light, the light is absorbed. As in water, the longer red or green wavelengths of light are absorbed, so the light leaving the ice will be blue or blue-green.